On 18th and 19th of July 2013, Linked Heritage will be presented at the European encounters organised in the framework of the Festival d'Avignon, one of the major European events in the field of artistic creation which brings together a lot of professionals and cultural operators from all cultural and artistic fields. Individual dissemination meetings will be organised with key actors of non heritage fields, Universities and High Schools in order to present the project results and to ask them to disseminate its results. Individual Meetings: Director of the cluster for cultural industries and heritage of PACA Region, Director of the Ecole d'Avignon, French Regional Agencies for Culture. Networking Activities: clustering with local authorities, professional European networks, regional agencies for culture, representatives of national authorities, etc. 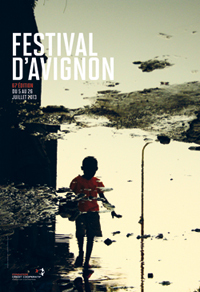 For more information about the Festival visit http://www.festival-avignon.com.